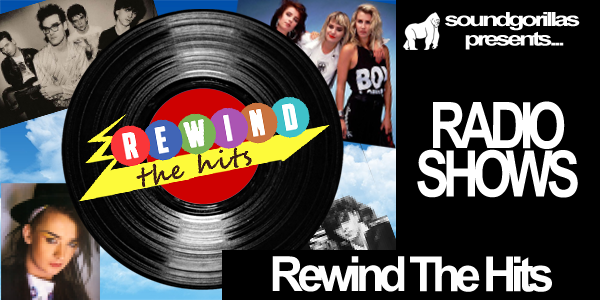 Rewind The Hits was a radio show aired on Swindon FM (in 2004 as Rewind The Clock), Community Radio Swindon in 2005 and then later bteween 2008 – 2009 on Swindon 105.5. Originally used as an alternative to the Golden Hour, the show was live, however Johnny decided to record the shows in 2007 in order to have a back catalog of shows for his production outfit (Previously Radioshock Media and Digital Panda) ready for broadcast. The Final show to be produced was in 2011, just before Johnny started Uni – so see if you can see any differences in his techniques and editing! Although all the years between 1970 and 1999 were recorded, they were lost on Johnny’s Hard Drive on the first In The Dark Radio Show, when his Hard Drive famously died live on air, so we’ll be filling in the gaps soon with some better sounding versions. Be aware though that the quality of audio does change depending on how recently they were recorded. If you’d like to hear the other years, click “Up Next” on the player below.